Inspiration is an interesting concept. What triggers a project, a new development or new design? Sometimes it is slow in the making, like in the case of the Vivacé. Over many years many concepts were played around with, doodling, sketches, prototypes and it was only last year this time that I met Alex, and we nailed the form factor and started to action it. The triggers for the Vocè were a combination of iconic loudspeakers that excel in the midrange above all and when did a number of design studies we knew immediately that we should proceed with the current project. The Évacateur was born from an increasing need in the marketplace, although still a niche, for a system that would be ideally suited for low powered amps, not flea watt amps but let's say from 10W upwards. The Vivacé could be seen as a step in that direction but many still believe that a well thought through 2way will be kinder to valve, single ended and low powered class A solid state amps. This was, however, the context or need and I had many ideas on how to achieve that and would have kept it on ice until next year. The real impetus for the Évacateur however, came from a conversation with Per Skaaning about our projects and options. In this conversation, I mentioned the need outlined above and my ideas around how we could possibly design a system to achieve those objectives. What followed was very unexpected and still, makes me tingle with excitement and humble at the same time. He stopped me in my tracks and suggested that I should consider a special driver that he experimented with over the last few months. Not only did he share his excitement about the driver but also without hesitation offered to build a set for me, run a full set of measures on it and courier it free of charge for me to try. Needless to say, I was bowled over with this generous suggestion and accepted his offer. The drivers left Denmark yesterday and will be in Johannesburg next week. Although we are sweating the small stuff with the Vivacé, and are slowly working on the Vocé, the inspiration for the Èvocateur concept could not be ignored and therefore we will put it on our to-do list as well. Ideally, I would have liked to have been able to launch the other 2 products first but I just could not resist tackling this one as well. The drivers that are on the way are 220mm units but with special cones, surrounds, voice coil formers and motor system. The bottom line is a driver capable of 96db/w with an FS in the mid-30s(Hz) and RE of 5.8 ohm and that are optimised to work between 25 to 30litres. A system with a sensitivity of at least 93/94db/w and a very amp friendly impedance (nominal 8ohms, minimum 5.8ohms) is therefor possible. The tweeter, crossover and enclosure are not determined yet. 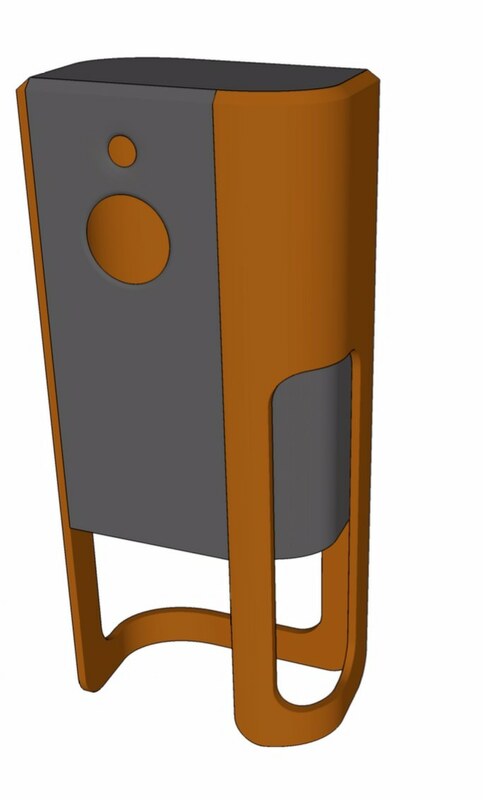 My initial thinking is to use the form factor of the Vivace, that the crossover will be between 1.5khz and 2khz with slopes that will be influenced by the off-axis measurements of the midbass and the tweeter that will be used. If I am going to use a dome a waveguide will be almost a given, but there are other options I will look into as well. There are a number of similar products in the market and many are well received by enthusiast and reviewers alike. So it's not uncharted territory but to have the support of such a world class driver manufacturer is something to be proud of and that I don't take it for granted. Many people view the ability to design and build drivers in-house as an indication of a world class speaker manufacturer, I beg to differ. There are certainly benefits to that strategy but working with a company that has such depth of competence and experience build up over so many years has its own strategic advantages. So in this thread, I will keep you updated with progress on the Évocateur project, hopefully, some of you are interested in the journey and the concept of such a product. You seem to be quite liberal with the accents. I'm not sure if some of the names you have chosen for your products have accents. Just saying although admittedly I have sweet fanny adams to do with what you call them. Having the power to evoke is one thing but we don't want them causing evac do we? All loudspeaker designs represent some compromises, in the end, even if money is no concern at all but a well designed 2 way that is easy to drive can be the cornerstone of a sublime system without breaking the bank, like your own system Chris. The drivers arrived safe and sound a week or 2 ago and installed them in boxes with a set of Mundorf AMT tweeters and a 1st attempt crossover and I have been listening to them for a while now. No over the moon impressions as yet suffice to say that even without much effort it seems to work, I would even say work well. The sensitivity and ease of drive are very obvious, bass extension is probably near that of the Vivacé, a 3 way with a similar sized dedicated bass driver, and the all important midrange detail and naturalness are definitely not lacking. My main concern, the integration of the biggish midbass driver with the tweeter with their different dispersion patterns in the 1khz-4khz, seems to be so far not such a big issue subjectively. It is, however, early days and I will only start in earnest with more comprehensive measurements in the 2nd week of December. I will experiment with different crossover points and typologies and also do a few experiments with a waveguide on the tweeter to see what sounds the best and measures satisfactory. Oh and in terms of the chosen name and my liberal use of accents, Évocatuer seems to be the correct spelling, but Skollie you have a point in the sense that Voce should be without an accent and in terms of Vivacé, the accent is optional. A well-sorted 2-way can be magical. I love my Spendor S8e's. But they're pretty big, heavy and like lots of power. I have been listing to this basic prototype now since November that I put it together. Initially is "spoeg and plak" a design together in my excitement to test the drivers and with time I then more systematically measured and simulated a crossover, build it and listened to it again. Probably 3 or 4 iterations, with refinements on each. Steadily I got on top of the midbass and I has been able to blend it with the Mundorf AMT that I had for a while but never used. The midrange roll off of the driver is very well behaved, and I am very happy with the crossover topology. In this sense, this driver is a beauty. The kind of driver that a good designer can create magic with. No need for a hard handed and interventionist approach, no notch filters etc required. The off axis energy is acceptable and for a dedicated music system very good at the designated crossover point and more borderline for a wide dispersion design. 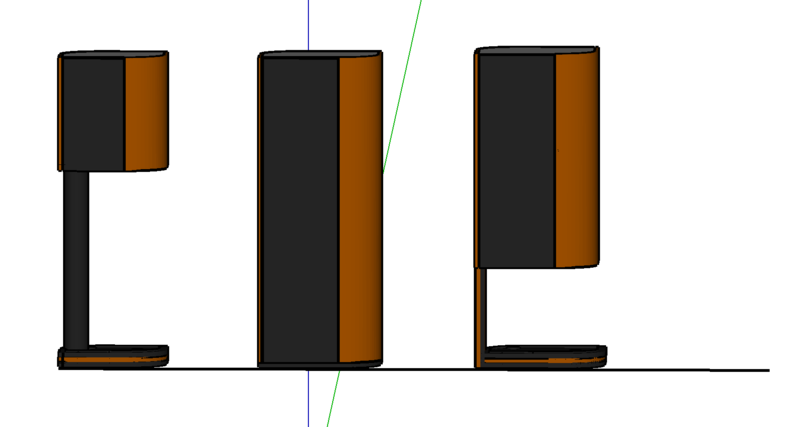 The more I listen to the AMT tweeter the more I like it, and I would probably stay with it in this design. I even am tempted.... , no maybe not, to change the Vivace's design. It is indeed a very clean, clear and harmonically rich high range, and with more dynamics than what I hear from a silk dome. I will use a bigger version to the 23cm unit I am using now, to improve the low-frequency extension. Only Alan Hobkirk has been privileged to listen to the prototype. His comments were around the ease of presentation, the very solidly sounding midrange, voices are grounded and has more foundations than most smaller 2 ways(5 and 7-inch designs) and he also commented on the dynamic ability and drive of the system. So in the end, I would say that I prefer this design with the Pathos TT, whilst the Ongaku replica made the Vivace sound at its best. It is interesting finding and only a preliminary impression. I think the TT really like the sensitivity of the Evocateur and the Ongaku has a more bold sound, that make a slighter lower sensitivity speaker sound a bit more dynamic. The impedance curve of the Vivace is very good for a 3 way, but the 2-way design is even better in the final analysis and it could also be a reason for my impressions between the 2 designs and speakers. I still would obviously compare the 2 design side by side in final versions, but at roughly 25%-30% cheaper to build I think it might just be a gem for people with low powered amps. It might become my own reference in my system if I am finally convinced that it can match the Viviace's brilliant mid-range ability. I really like the sound even with its much-compromised cabinet at the moment, it provides me with lots of pleasure and is probably close to the best I have heard with the Pathos TT. I don't think I have shared this concept idea for the Evocateur. What do you think? It is an easy extension from the Vivace but obviously with the smaller volume required for the high-efficiency Evocateur. I like it; but would prefer the grey part to go to the floor; nice contrast of the brown inlayed into the grey. Thanks, Stan, interesting suggestion about the contrast. However, that aim is not to be inefficient with the design in terms of input costs. To extend the grey area, basically, the carbon fibre carcass, to the floor would add a not an insubstantial amount to the RRP(you could buy even a fancy branded cable with for such a price)and it would have no benefit in term of the performance of the speaker. That is the challenge with this design. We need the baffle width of the Vivace but only 50%-60% of the volume and no stand that we could come up with looks good. The asymmetrical design just doesn't work well with a typical stand. Interesting indeed Shonver. I think the idea is worthwhile to be kicked around a bit more. It is definitely a step the right direction. 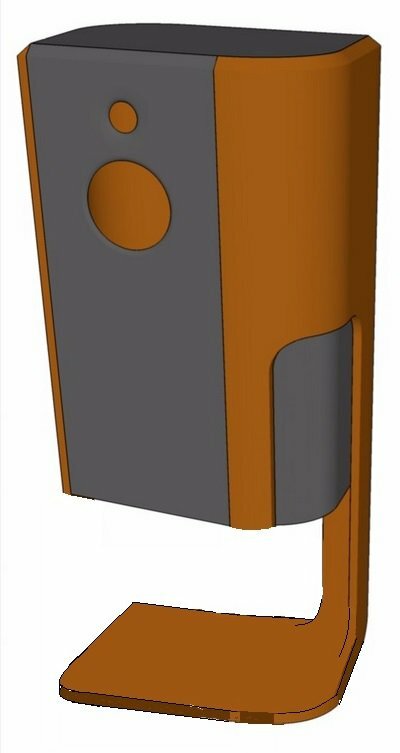 Have a look at the next concepts, we believe that the smaller version(probably a 17L) cabinet works well with an off centre stand, even a straightforward round pillar but we were not convinced with the 35Litre concept. I am restless because as much as the Vivace is a very good design, I do believe the higher efficiency Evocateur could be an important design in the market, especially if we get the cost-factor correct(see my comments to your input on the pricing of the Vivace as well)> so we need to find a way to not waste material or input costs. An integrated stand is a very good idea.